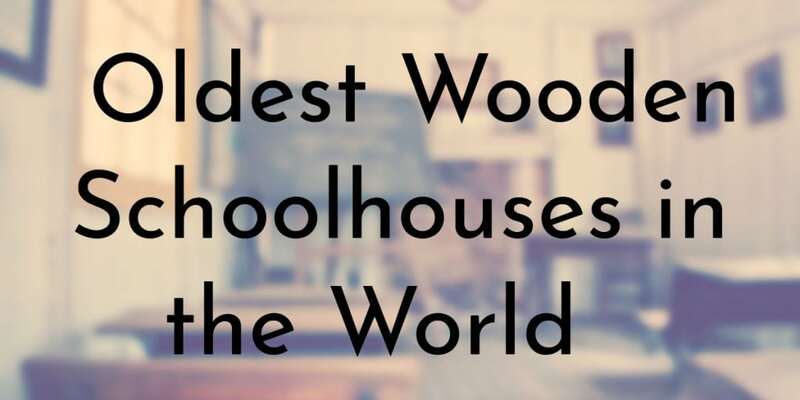 Thinking of wooden schoolhouses probably conjures up imagery of life in colonial America or the popular TV and book series Little House on the Prairie. 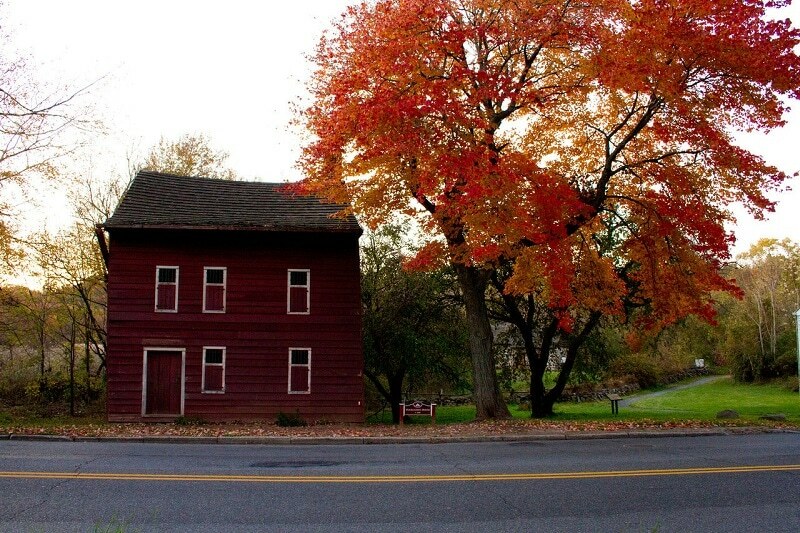 Due to their historical significance, the oldest wooden schoolhouses are all located in the United States. 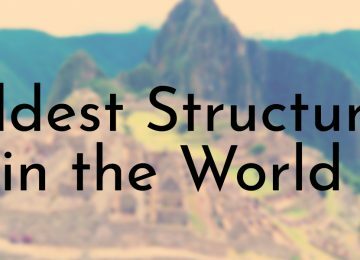 While there may be some wooden schoolhouses still standing in other parts of the world, they are undocumented or not notable enough to find information outside of the country. 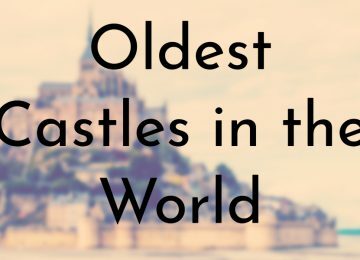 While many of the old wooden schoolhouses on this list now operate as museums showcasing what school was like in the past, a few are still operating as schools. They are some of the few one-room schoolhouses still educating local children, mostly in rural parts of the United States. The Indio Public Schoolhouse was built in 1909 and is currently one of the main attractions of the Coachella Valley History Museum. According to official documents, the Indio Public Schoolhouse is the only existing original, one-room schoolhouse in the area and the oldest public building in the city of Indio. The school remained open for over 50 years and was also used as a community center. 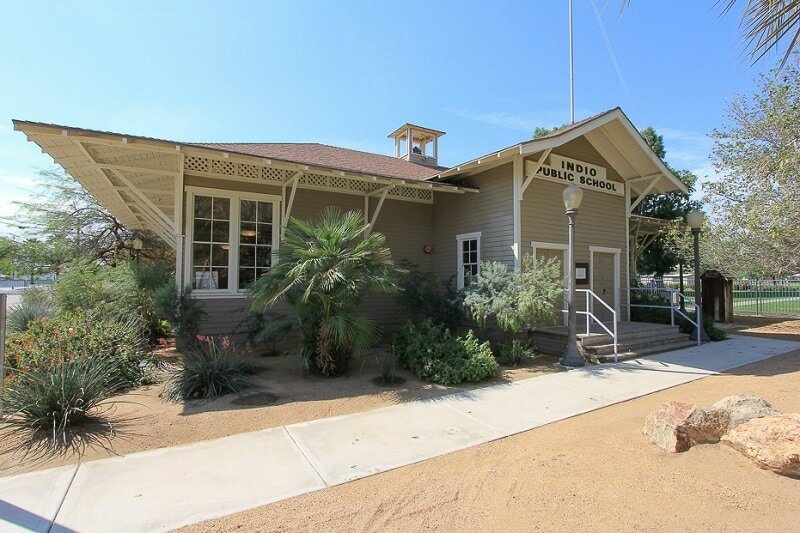 The schoolhouse building was moved to the Coachella Valley History Museum campus in 1999 and restored to its original state over several years. In 2016, the Indio Public Schoolhouse was finally granted historic landmark status by the Riverside County Board of Supervisors. 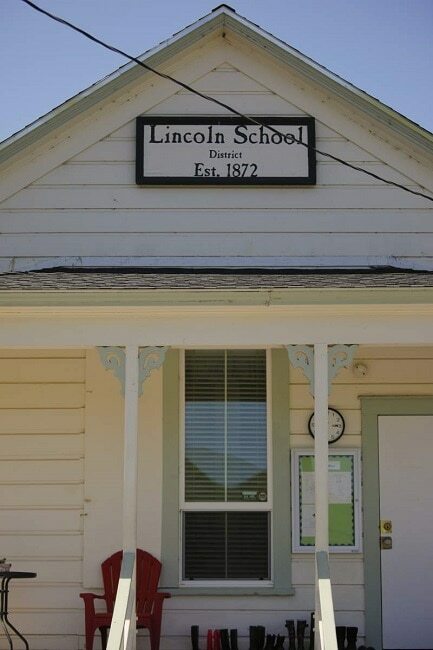 Lincoln Elementary School in Petaluma, California is one of the few remaining wooden schoolhouses in the state. The school is the oldest ongoing one-room schoolhouse in California. There are two other one-room schools in Marin County and in recent years the county has wanted to merge all three schools. However, Lincoln Elementary School and local parents wish to remain independent and feel that the mixed-grade class with one teacher is better for their kids. To stay afloat, Lincoln Elementary School has encouraged parents from nearby districts to enroll their kids in the school. Unfortunately, only seven students showed up for the 2017 – 2018 school year and the Lincoln Elementary may be forced to shut down in the near future – California requires schools to have at least six students to stay open. The Divide School in Divide, Montana first opened its doors in 1870 and has been continuously run as a school since then. It is one of the few remaining one-room schoolhouses in the country and every year a handful of mixed-grade students is taught by one teacher who doubles as the school’s principal. 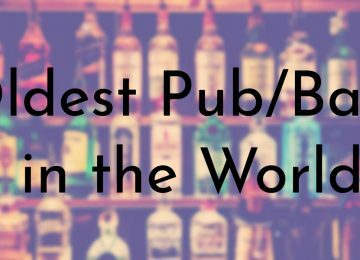 For small towns like Divide, the school is regarded as one of the town’s most treasured landmarks. The community sees the old school one-room schoolhouse as an advantage because every student gets individual attention and a personally tailored lesson plan. Divide School and the community place great value on education and the students often perform well and end up going to college. 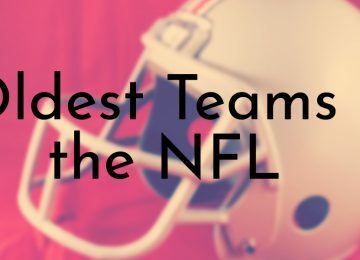 The Wood School in Bangor, Michigan is one of the only schools on this list that is still being used as an actual school. The school was originally founded in 1849, but the current building only dates to 1869. Since then, The Wood School has stayed in the same spot and has been in continuous operation. The Wood School hasn’t changed much since it was fist opened and it is still being operated as a one-room schoolhouse. 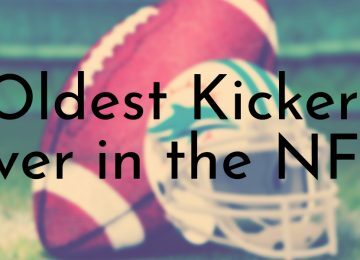 This means that the current class is made up of kids in grades ranging from kindergarten to eighth grade. The students are still being taught by one teacher, who also serves as the school’s principal. 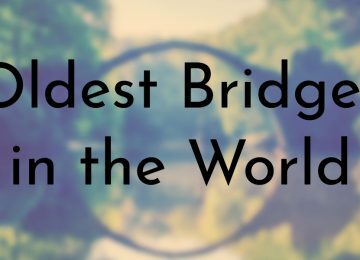 While this teaching style may seem outdated, its a hit with the local community and there is a long waiting list of students who want to attend The Wood School. 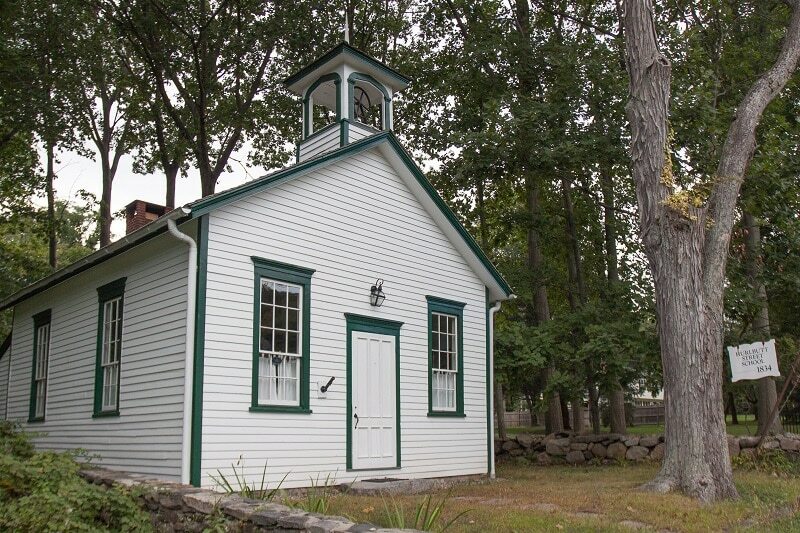 The Hurlbutt Street Schoolhouse was built in 1834 in one day by members of the Wilton school district. The school stayed open for the next 101 years and was purchased by the town’s Ladies Auxiliary in 1938. The Auxiliary used the schoolhouse as the non-profit Hurlbutt Street Community House and provided various services and programs to the community. 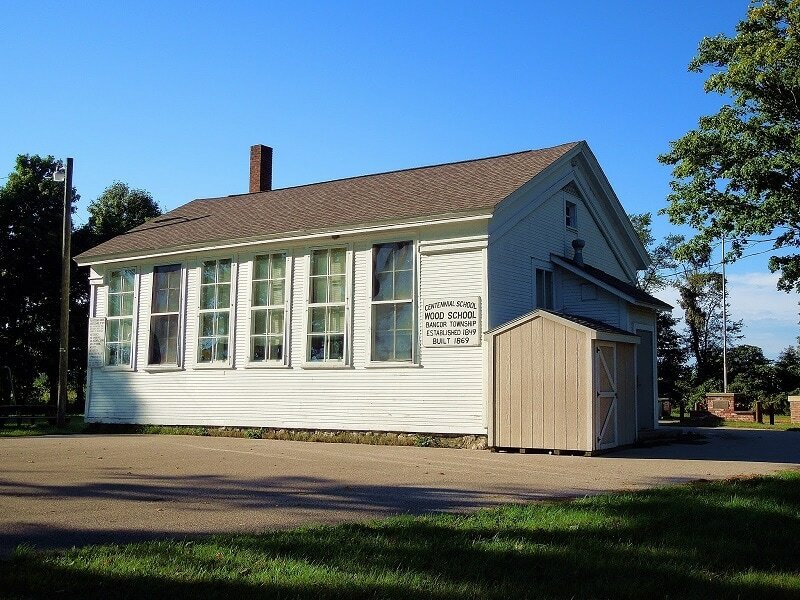 In 1974, the Ladies Auxiliary changed its name to Hurlbutt Street School House, Inc. and began restoring the schoolhouse to its original appearance. Today, the Hurlbutt Street Schoolhouse is open to the public as a living museum where modern school children can learn what school was like in the 19th century. The Hurlbutt Street Schoolhouse was also added to the U.S. National Register of Historic Places in the 1990s. The Nathan Hale Schoolhouse was named for famed American Revolutionary spy and soldier Nathan Hale, who briefly taught at the school. The school first opened in 1750 as the First Society School and was used as a schoolhouse until 1799. Following his graduation from Yale in 1773, Nathan Hale taught a class of 33 boys and girls between the ages of 6 and 18. Despite enjoying his teaching job, Hale left the school after five months because he found East Haddam too dull. 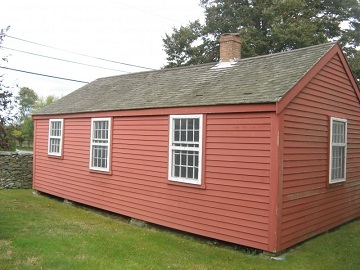 Although Hale only stayed for a short time, the Nathan Hale Schoolhouse is dedicated to his memory. 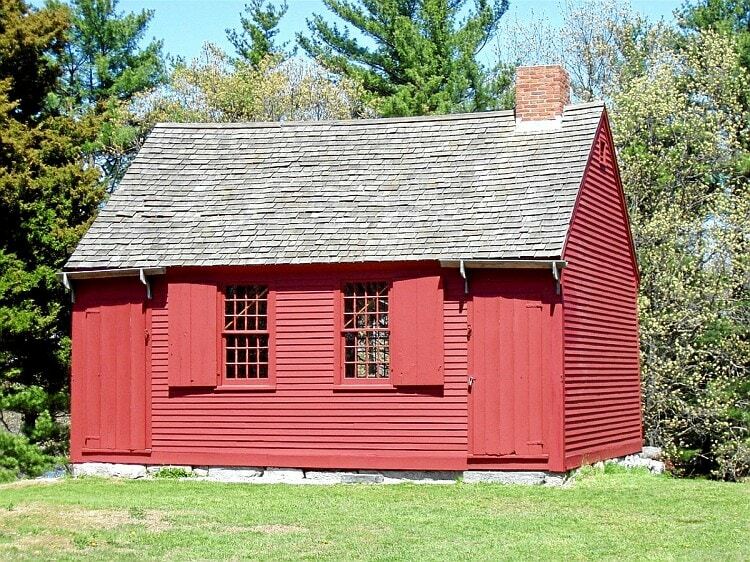 Since 1900, the Nathan Hale Schoolhouse has been maintained by the Connecticut Society of the Sons of the American Revolution and the Nathan Hale Memorial Chapter of the Daughters of the American Revolution have filled the house with 18th century schoolhouse furniture and supplies. 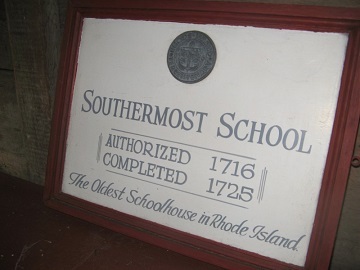 The Southermost School was opened in 1725 and is the oldest schoolhouse in Rhode Island. The school traces its history to 1716 when the residents of Portsmouth voted to build two one-room schoolhouses, the Southermost School is the only one still standing. Some of the original furniture, such as a school desk and the schoolmaster’s desk, are still displayed in the Southermost School today. There is also a list of rules and punishments still posted in the school. In 1860, after the town built a larger school, the Southermost School was purchased by the Almy family, who moved the building to their farm. The Almys used the building as a storage shed and their maintenance is the only reason why the Southermost School has survived. In 1952, the Almys donated the Southermost School to the Portsmouth Historical Society and it remains open to the public as a museum. 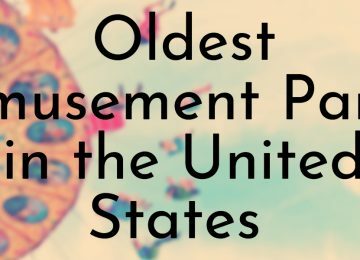 As its name implies, the Oldest Wooden Schoolhouse in St. Augustine, Florida credits itself as the definitively oldest wooden schoolhouse in the United States (and quite frankly the world as this particular “oldest wooden schoolhouse” dominates any online search for old wooden schoolhouses). 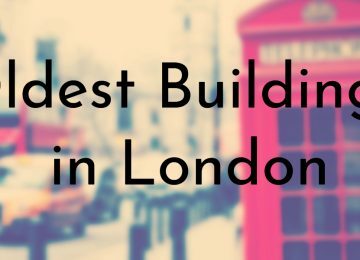 The schoolhouse was built sometime in the early 18th century, although no one is sure of the exact date. There are tax records dating back to 1716, but it is believed that the school existed before then. A man named Juan Genoply may have been the original owner of the house and is considered the first school teacher. 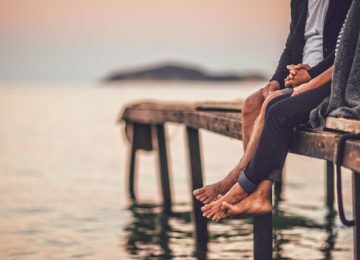 After he was married, Genoply added a second story and began also teaching girls in 1788 – according to the Oldest Wooden Schoolhouse, this makes it the first co-ed school in the country. 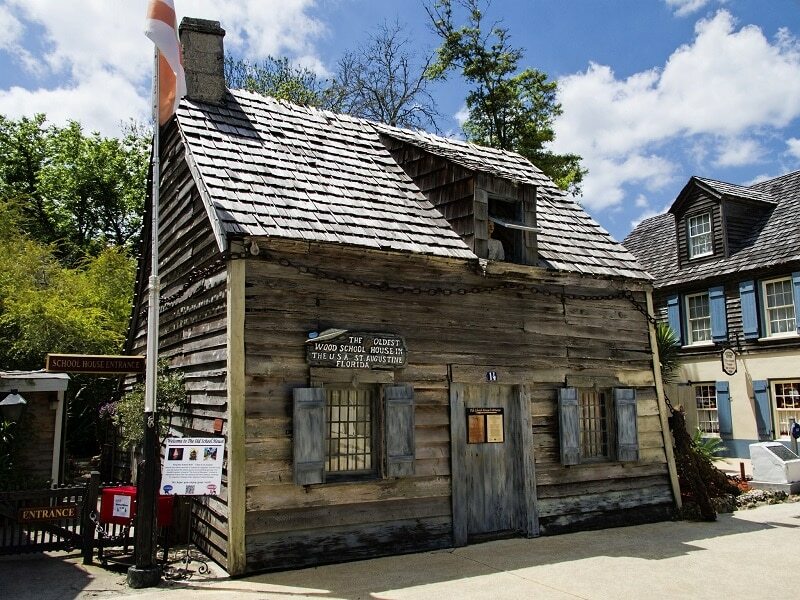 Today, the Oldest Wooden Schoolhouse is a museum that shows school and colonial life in the 18th century. The Voorlezer’s House was built sometime before 1695 and is considered the oldest existing wooden schoolhouse in the world. 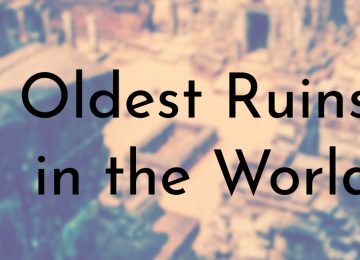 The building was constructed by the Dutch settlers of Richmondtown, Staten Island and was meant to serve as a church, a school, and a residence for the congregation’s voorlezer (assistant to pastor of the Dutch Congregation). The voorlezer was responsible for keeping church records, reading the Bible aloud, and educating the community’s children. The Voorlezer’s House is still standing at its original site, but was moved back a few feet for road construction. The wooden schoolhouse was added to the U.S. National Register of Historic Places in 1966 and is open to the public today as a museum.